It’s been a while since I posted anything here. Life has been busy with a newborn, but I wouldn’t trade it for the world. One plan that I made for the New Year, is to read the Bible cover to cover. Actually, I had already started this goal, but like everything when life gets hectic, we promise to do it later, then never comes. But this year, I wanted things to be different. I wanted to really start and get through a reading plan, that wasn’t overwhelming. While I am familiar to all the stories in the Bible, as I read and hear it often, I have never actually made it a goal to read the Bible from front to end. Reading it from front to end, is much different than following along with the readings for the Mass daily (although I attempted that as well). Of course, I would pick a time when I have a newborn, but I see it as the perfect time. This is the time that I need all the grace that I can get. Homeschooling my oldest, potty training my middle, and being sleep deprived is the most perfect time . There are so many reading plans out there, that one could be bogged down with just making a decision to start. 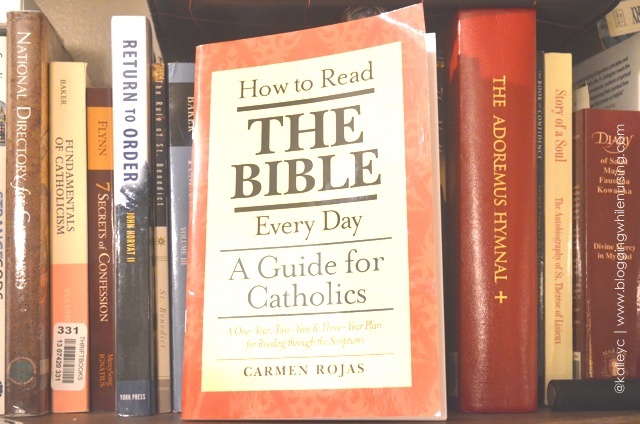 I ended up going with How To Read The Bible Everyday by Carmen Rojas. Read on one year, two year, or three year plan. 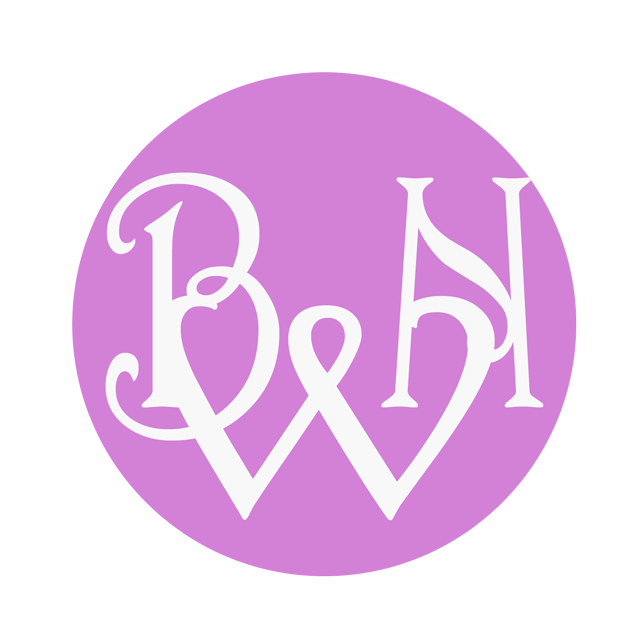 Has extra readings for Lent and Advent. Breaks everything down by month and date. Since I started this quest before I got the book, I am currently in two different months (one month for Old Testament, and a different month for New Testament). I like it because the readings are absolutely doable and not overwhelming. Not only that, but because it is in order, the story of salvation comes beautifully together. Another reason that I like this, is because it’s not just the goal to read the Bible, but to understand and meditate on what I’m reading. I want to remember the stories that I read, and see how the are connected to each other. I love to see how the Old Testament foreshadows the New Testament. I like to keep a check list as to where I am for this month. I’m not traditionally in the month of February in the plan, but to have a check list to keep track of what I have read keeps me accountable. I’ve been keeping track of this in my bullet journal. I only focus a month at a time, and that way I don’t trip myself up looking ahead for the whole year, then convincing myself that I cannot do it. Yeah, I’ve done that before too. If you are ever looking for a good plan to read the Bible in a one/two/three year, and don’t mind spending $5 for a good plan, I would highly recommend this one. 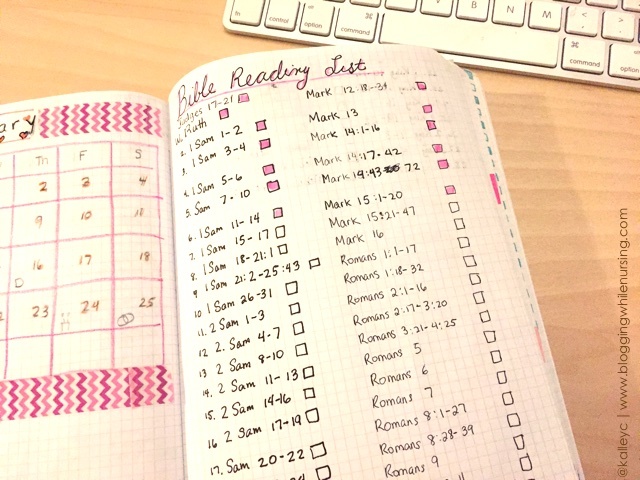 Have you made plan to read the Bible in one year? What resource did you use? *There is no affiliated link in this post. 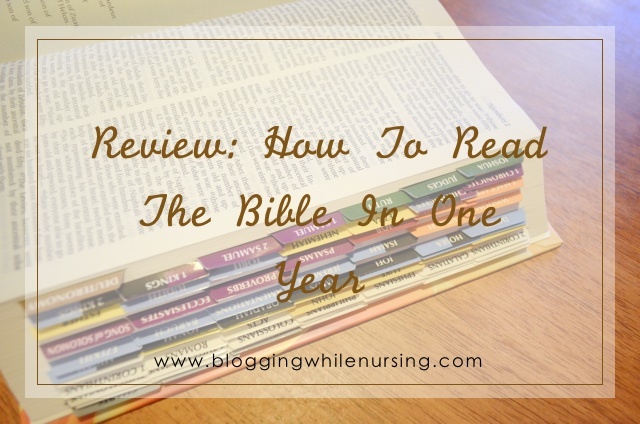 1 Comment on "How To Read The Bible In One Year Review"